Greg Collier is the chef at Uptown Yolk, a breakfast restaurant at 7th Street Public Market in Uptown Charlotte that he co-owns with is wife Subrina. Collier is among the founders of Soul Food Sessions, a Charlotte-based group of African American chefs and mixologists working to bring diversity to the hospitality industry. 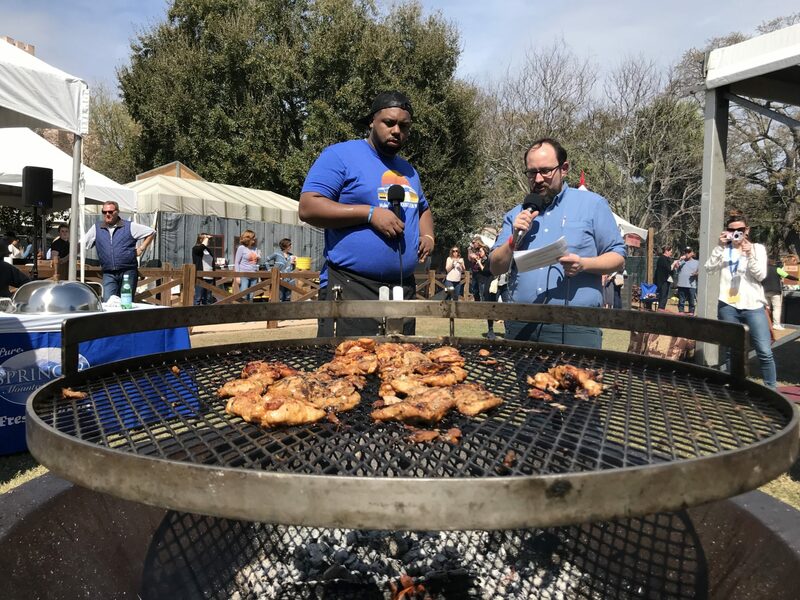 Chef Greg spoke with host Harry Rosenblum at the Springer Mountain Farm’s campfire, about what he’s got cooking at Charleston Wine + Food.